Happy Spring and some randomness….. I was able to make lots of progress on the cardigan I’m knitting for Miss K. It is my first attempt at a sweater, and I’m happy to say it’s been quite fun and much easier than expected. I’m working on the sleeves now. I’ll add the abalone buttons she picked out, and call it done; hopefully by this weekend. 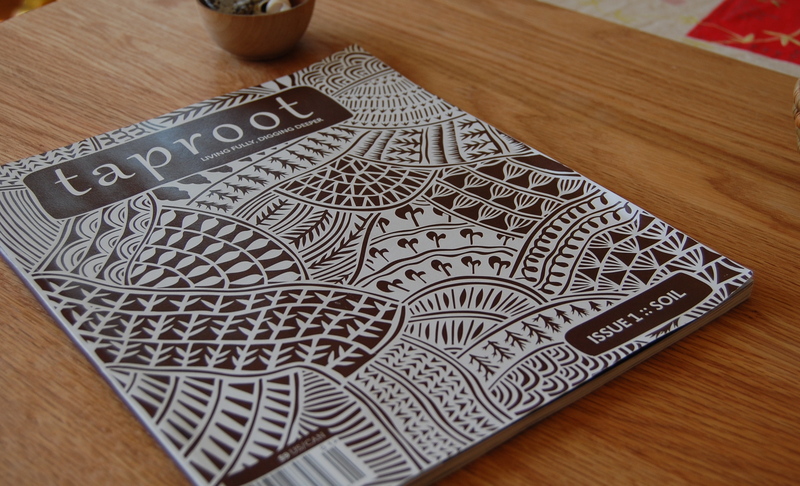 I was also happily surprised to get my first volume of taproot!! Amanda of SouleMama is one of the editors, as well as one of my most favorite bloggers ever!! She has this beautiful way of inspiring and instilling within others, a sense of appreciation for the simple beauty of everyday life. 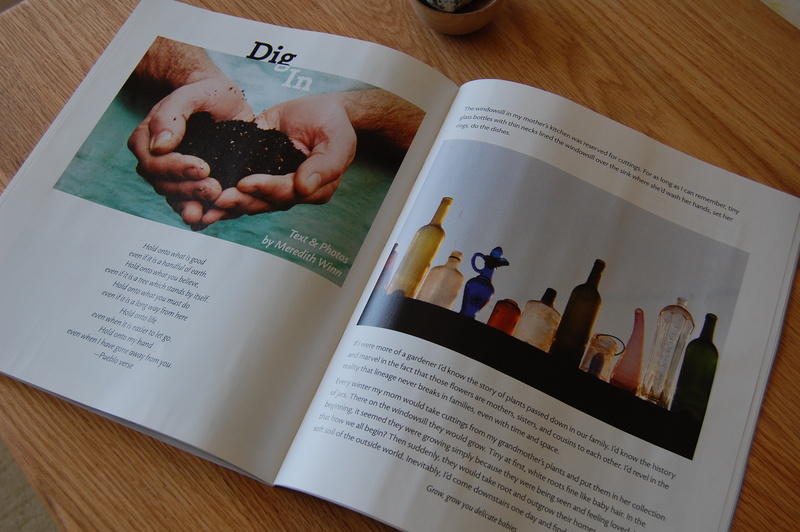 This debut edition of the magazine focuses mostly on soil and the rewards that can come from living a life with connection to earth; note to self– make time for a trip to the nursery this weekend. It is also full of many other interesting articles and even includes a little sewing project. 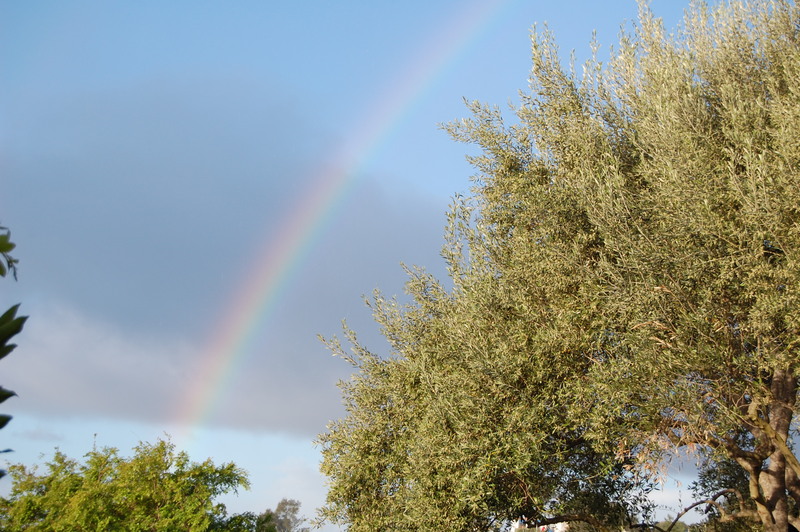 I couldn’t resist leaving you with my humble little rainbow capture from our pre-spring rainstorm last weekend. 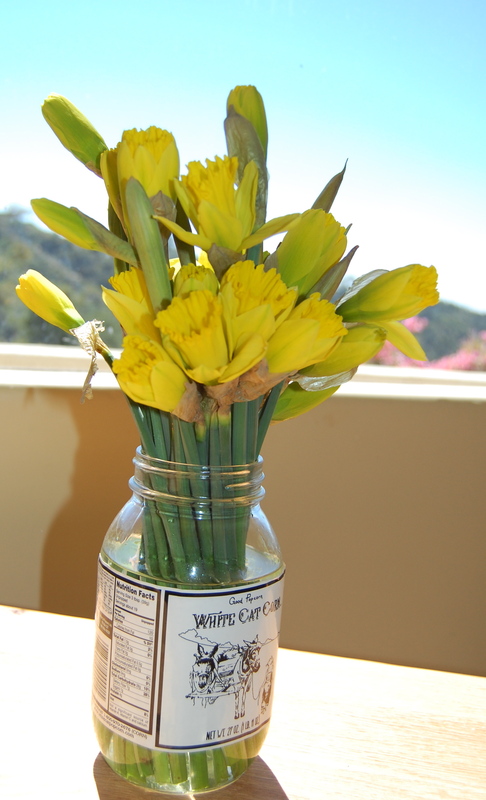 Hope you’re enjoying your entry to Spring!! 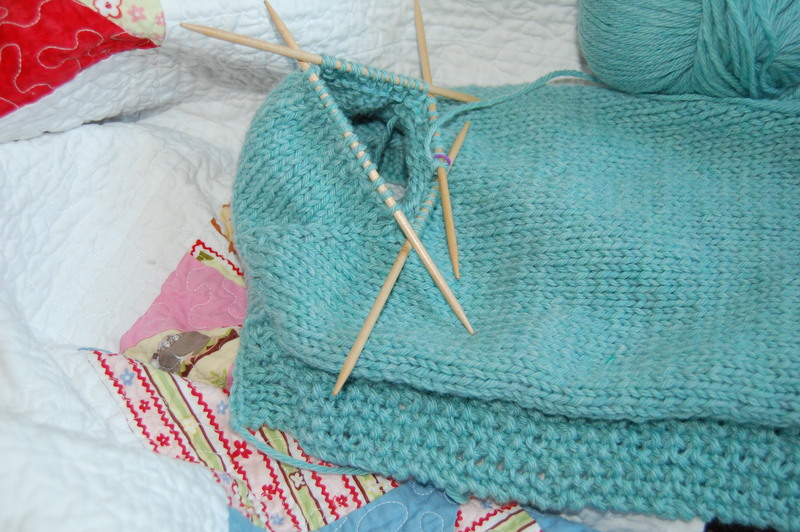 I love the jumper you are working on. The colour is fantastic. 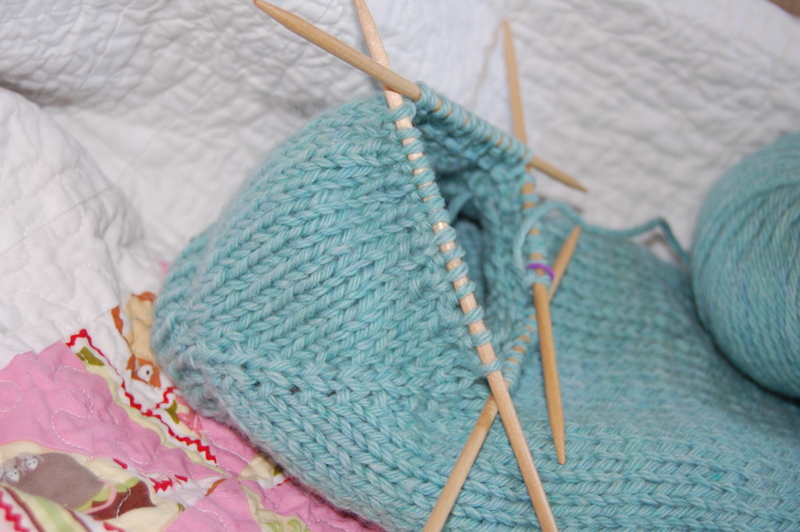 Why do I find knitting with more than two needles very fancy and intimidating :)?